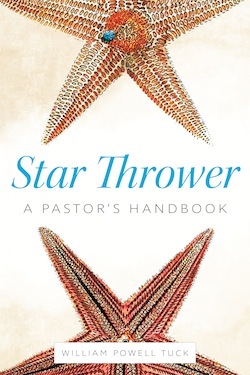 In his latest book, Star Thrower: A Pastor’s Handbook, William Powell Tuck draws on over fifty years of experience to share his perspective on being an effective pastor. 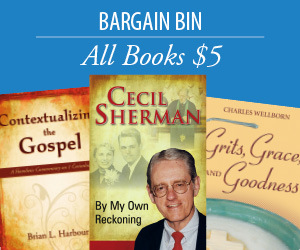 He describes techniques for sermon preparation, pastoral care, and church administration, as well as for conducting Communion, funeral, wedding, and baptismal services. He also includes advice for working with laity and church staff, coping with church conflict, and nurturing one’s own spiritual and family life. William Powell Tuck, a native of Virginia, has served as a pastor in Virginia, Kentucky, North Carolina, and Louisiana, and as a seminary professor, adjunct college professor, and as an intentional interim pastor. He is the author of thirty books and was awarded an honorary Doctor of Divinity degree from the University of Richmond. In 1997 he received the “Pastor of the Year” award from the Academy of Parish Clergy. He and his wife, Emily Campbell, are the parents of two children and five grandchildren and live in Midlothian, Virginia. So much more than a “how to” manual—it’s a compassionate and guiding hand on the shoulders of men and women serving in pastoral “trenches” everywhere. Pastor, First Baptist Church of Washington D.C. This is the most valuable compendium of information for ministers I have ever seen. If I had possessed it when I was starting my ministry, I would have been twice as effective as I was without it—no, three or four times.